Bertha Vazquez has been teaching middle school science in Miami-Dade County Public Schools for 29 years. A seasoned traveler who has visited all seven continents, she enjoys introducing the world of nature and science to young, eager minds. 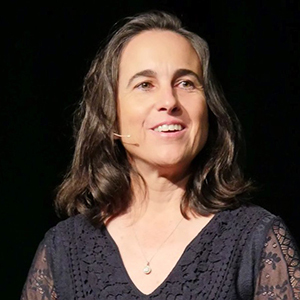 An educator with National Board Certification, she is the recipient of several national and local honors, including the 2014 Samsung’s $150,000 Solve For Tomorrow Contest and The Charles C. Bartlett National Excellence in Environmental Award in 2009. She was Miami-Dade County Public School’s Science Teacher of the Year in 1997, 2008, and 2017 and is one of Florida’s 2017 finalists for the most prestigious science award in the country, The Presidential Award for Excellence in Mathematics and Science Teaching. Thanks to her work with TIES, she was also the 2017 winner of the National Association of Biology Teachers Evolution Education Award. Bertha has been the director of The Teacher Institute for Evolutionary Science since 2015. TIES is a project of the Richard Dawkins Foundation for Reason and Science.